GCE has always prided itself on being near the forefront of the use of technology in the practice of law in Tennessee. GCE's lawyers were some of the first to use audio-visual presentations at trial and in appellate arguments. GCE's lawyers were counsel in the first Tennessee appellate decision to approve the use of Power Point at trial. (See Stanfield v. Neblett, 339 S.W.3d 22 (Tenn. Ct. App. 2011)). Studies have shown that the greatest retention by jurors occurs when there is a mix of audio/visual displays combined with precise examinations by trial attorneys. At trial, the firm's in house staff is capable of using the most advanced audio/visual resources available including trial presentation software, video editing software, photo and image editing software to create stunning visual displays on the fly. 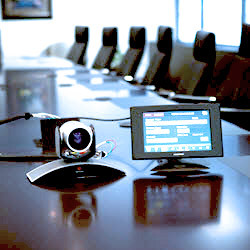 Additionally, GCE's office has state-of-the-art video-conferencing and presentation equipment that allow its lawyers to conduct video depositions and video meetings, helping decrease the cost of litigating cases.